WARREN, MI—Saying the establishment was both close to the airport and just off the highway, your dad announced Monday that he knows of a great hotel just 10 miles away from the city you’re visiting. 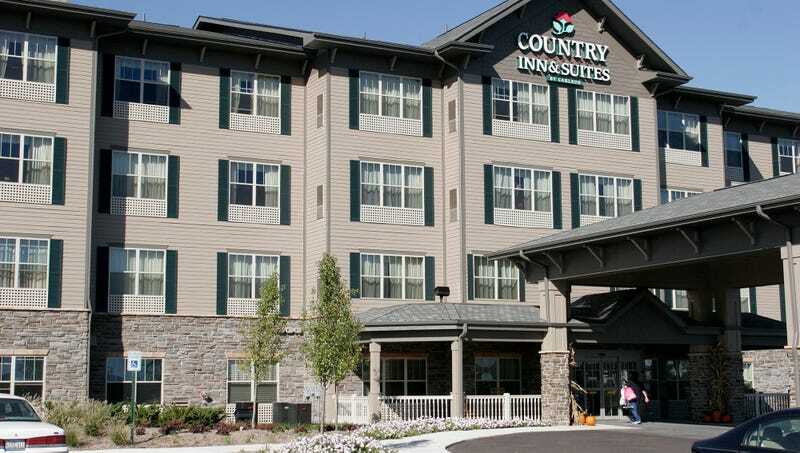 “It’s a pretty good deal, and if you do decide to head downtown, they have a shuttle bus that can drop you off at the subway station,” said your dad of the suburban Country Inn & Suites located a full 90-minute train ride away from your vacation destination. “They have a business center in case you need to print your plane ticket and a continental breakfast so you can grab a banana or some corn flakes instead of shelling out $15 for some ritzy brunch in the city. The area isn’t really walkable, but I was able to get to that Fuddruckers on the other side of the parking lot when I stayed there for work.” At press time, your dad also suggested trying to squeeze in a visit with your aunt and uncle who live just a few hours from the hotel.